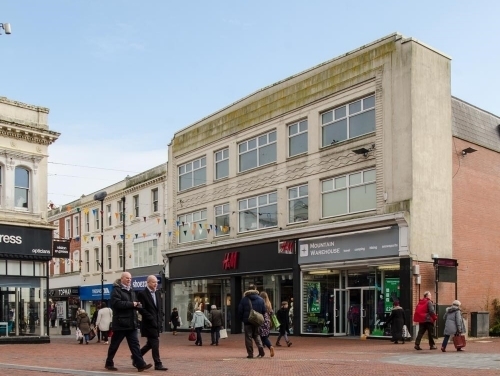 H&M is one of a few large clothes retailers in Worthing town centre, and the freehold of their building has recently been sold on behalf of a Worthing-based family trust by SHW. The four storey property of over 30,000 sq ft is on the corner of Montague Street and Montague Place, though the sale excluded the ground floor shop let to Mountain Warehouse. The freehold property, subject to the existing lease, was sold in October for in excess of the £2.8 million asking price. Whereas H&M occupy just the ground and first floors, all four floors used to be occupied by Woolworths. The vacant upper floors provide the purchaser with prospects for residential conversion in the longer term.